Technically part of Southern Kordofan,as it is claimed by both Sudan and South Sudan due to it's population which primarily consists of the Dinka people of South Sudan and Missriya of Sudan. 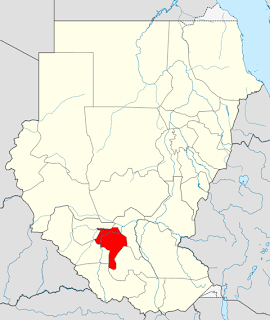 The Northern administration recently seized the region claiming it as part of Southern Kordofan therefore it is part of Sudan.This has lead to serious disruption,death and displacement of locals/civilians in the area. Abyei currently has special status,until residents vote in a referendum to determine whether they will join Sudan (North) or South Sudan.